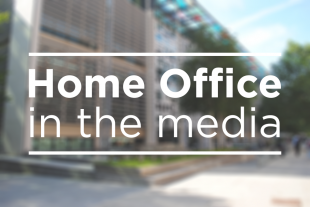 Today’s Home Office stories include widespread coverage of the UK identifying the suspects in the Salisbury investigation. There is also coverage of the seasonal agricultural workers scheme. There is widespread coverage of the major development in the investigation into the Salisbury poisonings in which the UK Government named the two suspects as members of Russian military intelligence. The Times states that the Prime Minister pointed the finger at President Putin and told Parliament this was “not a rogue operation” and was “almost certainly” approved by the Russian state. The Prime Minister said the “full range of tools from across the national security apparatus” would be used against the Russian agency GRU of which the men, who used the names Alexander Petrov and Ruslan Boshirov whilst in Britain, were members of. The Financial Times, Telegraph, Times and Sun report that the Government is reviving the seasonal agricultural workers scheme, after warnings that fruit and vegetables could be left to rot. Ministers are now launching a two-year pilot with officials saying that the Environment Secretary and the Home Secretary persuaded the Prime Minister. The Telegraph notes that the Home Secretary said farmers were vital to the economy and the Government would “support them “in any way we can”. British farmers are vital to the UK’s economy – and the Government will look to support them in any way we can. This pilot will ensure farmers have access to the seasonal labour they need to remain productive and profitable during busy times of the year. I am committed to having an immigration system that reduces migration to sustainable levels, supports all industry and ensures we welcome those who benefit Britain.